"Marge and Family. Thinking of you at this sad time. 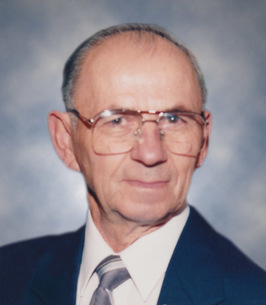 💕 "
On October 6, 2018, Dan Pukalo of Edmonton passed away at the age 87 years. Dan is survived by his loving wife, Marg; stepson, Brent (Pam); four grandchildren, Amanda, Krystina, Nicole and Candice; three great-grandsons, Zackary, Nicholas and Benjamin; siblings, Nester (Alva), Julian (Elise) and Olga; sister-in-law, Doris; as well as several nieces and nephews. Divine Liturgy Friday, October 12 at 10:00 a.m. at St. Josaphat Ukrainian Cathedral, 10825 – 97 Street. Cathedral Clergy officiating with interment in St. Michael’s Cemetery. In lieu of flowers, donations may be made to the Prostate Cancer Research Foundation of Canada, #1900 – 1055 West Hastings Street, Vancouver, B.C. V6E 2E9 or the Alzheimer Society of Alberta and NWT, 10531 Kingsway Avenue, Edmonton, AB, T5H 4K1.